Looking to invest in your brows – but haven't quite decided? Well, here are the answers to all your questions! Q: What actually is microblading? A: Microblading is semi-permanent pigment that's pushed into the surface of the skin with a fine blade to mimic the growth of your already existing hair to create bolder, natural-looking brows or eyeliner. A: Microblading lasts 1-3 years depending on your skin type. You can extend the life of your blading by coming in for a touch-up. A: Microblading your brows will cost $699 with a free touch-up within two months. Microbladed eyeliner is $450. 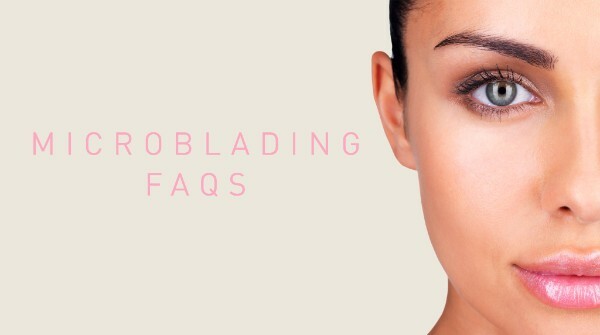 A: Microblading doesn't require a tattoo gun or ink, so there is no bleeding or downtime. To keep discomfort to a minimum, we use anesthetic creams before and during the procedure. The entire process takes only two hours and there is no down-time. Q: Will it look obvious or fake? A: Microblading is only obvious because you look perfectly groomed straight out of bed! Together we design a brow which is totally bespoke to you, and your colour will be custom mixed from the highest quality pigments. Microblading is designed to perfect your existing arches, but it will suit you perfectly and won't look fake.